Go to the CONTACT US page for details of who to contact for what. Committee meetings are held at least every other month if not more frequently. The Annual General Meeting (AGM) is held in November - click here for meeting minutes. My boy Jakie, racing, beer & Chasers obviously! Since the formation of Clapham Chasers I’ve loved working with fellow club and committee members to meet the challenges of our rapidly developing club. One day we will hopefully be one of the most reputable running and triathlon clubs in the country. My commitments at home mean I can’t go to the volume of sessions I used to but you can usually see me coaching at the track on Tuesday. Outside of Chasers I’m also with Embrace Sports and have the privilege of coaching and training with many Chasers there too. 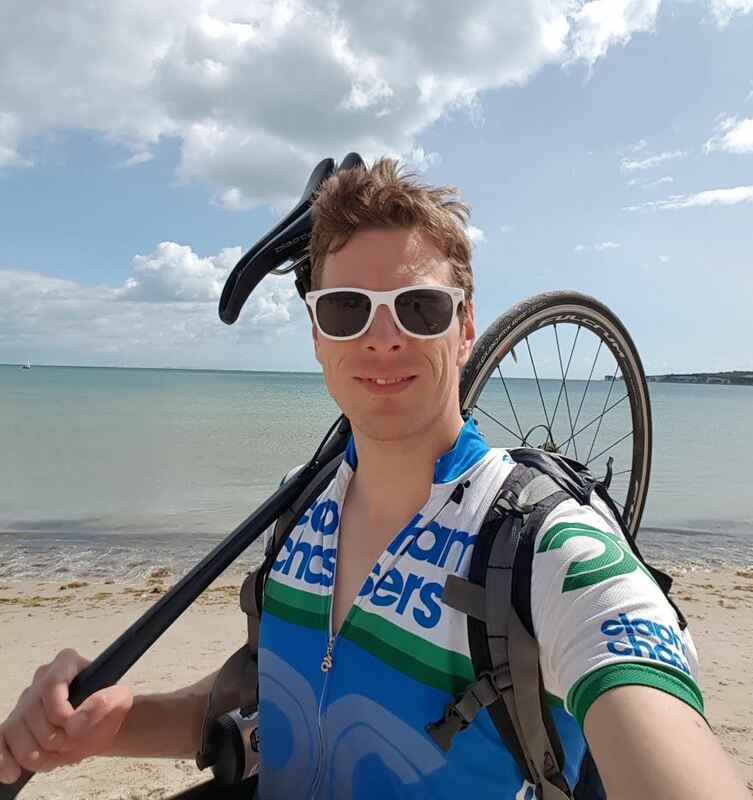 Having joined the Chasers in 2012 with a view to doing triathlon, it wasn’t long until I discovered I really didn’t like open water, wasn’t overly keen on swimming or running or early mornings and that cycling was great. However, after three years of dedicated cycling, I finally managed two sprint and one middle distance triathlon over the course of one summer, where I had a proper panic attack at the start of swim. Once I realised no-one was coming to help, and that I could just about put my feet on the bottom of the lake, I got on with it, even enjoying the swim, and completed my first and last middle distance triathlon! At some stage the Chaser tri-suit, which still fits, will probably come out of retirement. Until then, I enjoy studying maps of Surrey and Kent, trying to figure out ways to make the same old roads somehow different, and every now and again finding a whole new road. I actually quite like trail running, and swimming in perfect, big, largely empty 5ft deep swimming vestibules. Through the Chasers I’ve met loads of new friends, been to loads of new places and had loads of great times and more than a few beers and snacks. When the opportunity to become treasurer came up, combining my love of numbers, spreadsheets & Chasers, I couldn’t believe my luck and jumped at the opportunity to give back to our club & community. I’m still working on the proposal for a snack budget. Hates: Commuting - but now I run and cycle, I love it! 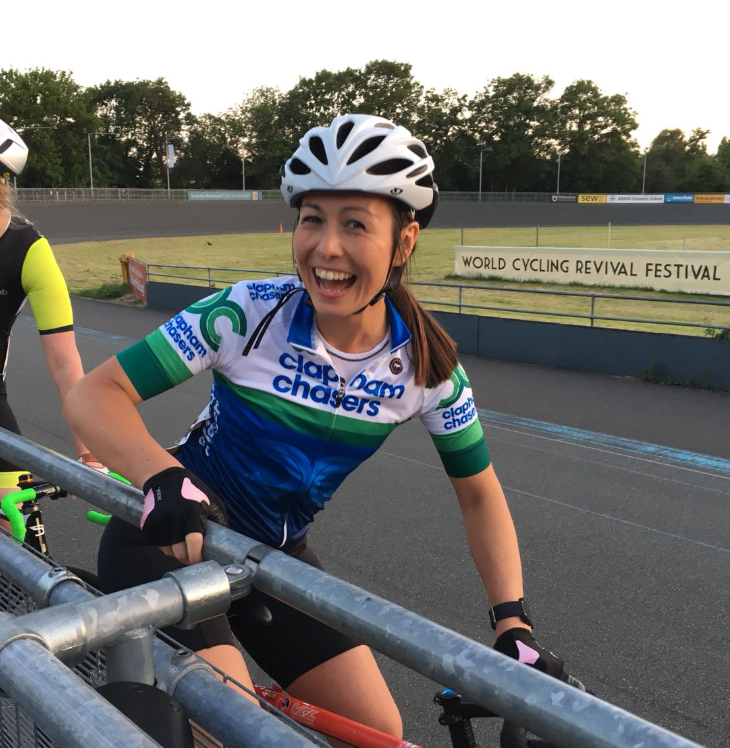 I joined the Clapham Chasers in 2011 after I moved and it became my local club. I had been a member of another running club and the difference was amazing! The Chasers are the most friendly, inclusive and supportive group of people you could hope to meet. I value that all abilities are welcome and have watched, in the five years that I’ve been a member, the club grow to an organisation that offers an amazing range of activities and events: both sporting and social! I recognise that most of this is done through people volunteering their time, enthusiasm and passion for running, cycling, swimming and triathlon. Taking part and getting involved with any Chasers event is rewarding and enjoyable, and is an important part of my life and now I'm also proud to be able to give back some time via the Committee. 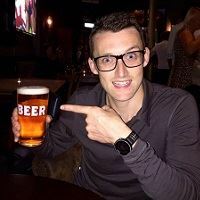 Hates: Tuesday Track, £5 pints, excuses! Chasers aren't just my running club, they are my London family! Like most I came to London for work (and a girl) and began the search for friends, training partners, coaches and drinking buddies. I found all four at Chasers, with most people at the club fitting all four descriptions! The amount of sporting knowledge at Chasers and the enthusiasm to pass it on is mind-blowing. As a runner I've improved hugely over the three and a bit years I've been with Chasers but more importantly, my time in London and my transition from home-sick northerner to honorary southern-softy wouldn't have been anywhere near as enjoyable as it has been if it wasn't for this amazing club. I've been known to ride a bicycle and on rare occasions even don the neoprene but I'm definitely most at home in a pair of unnecessarily short shorts and the illustrious blue, green and white Chaser singlet. 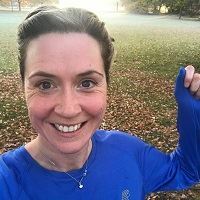 I'm usually at the Tuesday and Thursday sessions and organise the weekend long run so please grab me and say hi, I'm always up for talking about all things running! I joined the Chasers in 2013, and my only regret is that I didn't join sooner! 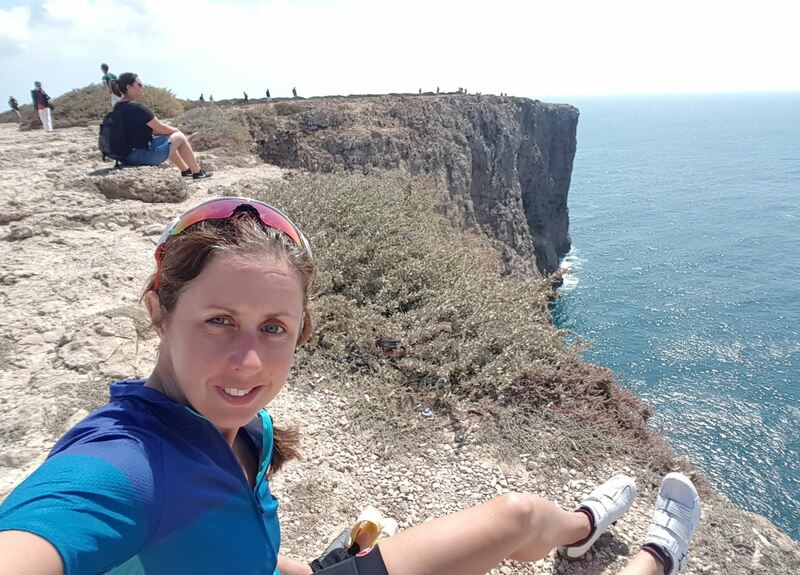 I'm mainly a distance runner (marathon+) but will happily race in all distances, and being part of the club and training with other like-minded people has really helped improve my fitness and performances. 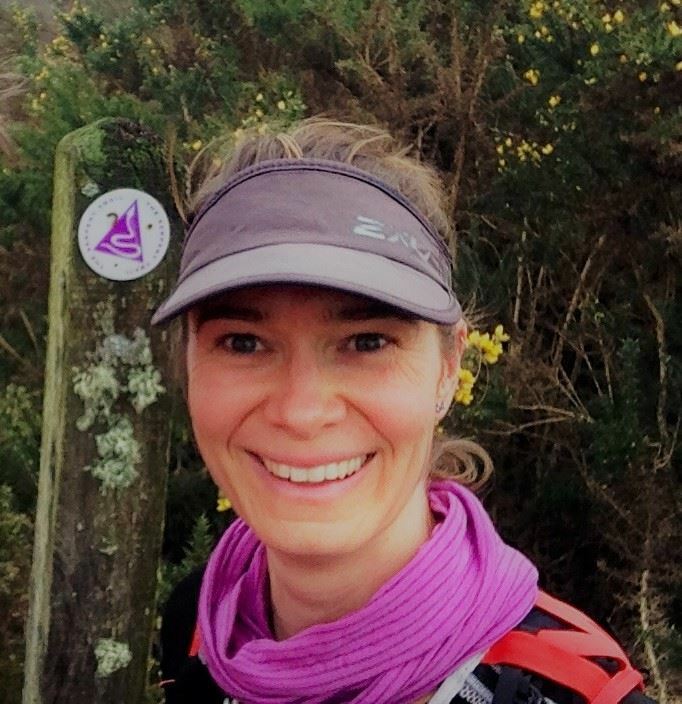 I'm particularly passionate about trail running, and it has been fantastic to see the trail side of the club really flourish over the last few years. I joined the committee to help promote women's running in the club and encourage Chaser ladies of all abilities to get involved and have fun, whether they are training for their first 10k or competing at a high level. 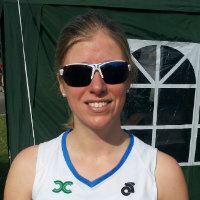 I'm keen to foster a sense of women's training and racing being a real team affair, and love how the Club offers training and learning opportunities across all the running disciplines - road, trail, track and XC. As one of the Club's two Welfare Officers, I hope to make it easier for our members to share any concerns or difficulties they may be experiencing, and to help find a resolution or additional support as needed. Loves: Running, travel and combining the two. Hates: People walking glued to their phones. 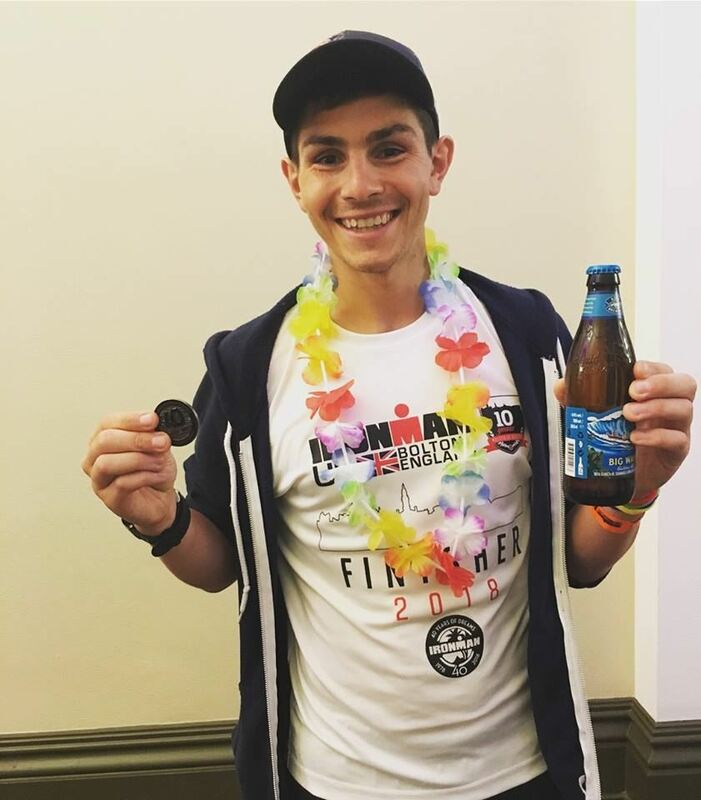 I joined Clapham Chasers in 2015 after getting hooked on running the year before. I wanted to improve my performance and make some friends with similar interests on the way. I can confidently say both goals have been achieved. My main focus is running or any distance but trail running is where I find the most enjoyment. I’ve dipped my toe in the triathlon waters on a couple of occasions but nothing can beat the joy of running up and down some mountain trails. Ever since I joined Clapham Chasers I noticed how welcoming, well run and supportive the club is. This isn’t something that can be done without people volunteering their free time to share their passion so when a position on the committee came up I went for it with open arms. As well as my position as Risk Officer and male Welfare Officer, I sit on the Running subcommittee, and have helped set up and lead the Super Saturday sessions. I’m keen to pass on what knowledge I’ve accrued so far so feel free to grab me if you ever want a chat, running related or otherwise! I joined the Chasers in 2015 and at the risk of parroting what everyone else had said, it was one of the best decisions I've ever made. When I joined, I had lofty ambitions to complete a 10k and had no intention of ever running much further than that! A few short years later and I've completed 3 marathons and a few triathlons in times I never dreamed of before joining. I've made many brilliant friends and had a whole lot of fun along the way. Having gained so much from being a part of Chasers, I was glad to have the opportunity to give something back as part of the committee. My advice for absolutely anyone anywhere is that they should move to London, join a running club, and change their life. Whilst this might be a slight oversimplification of life, it encapsulates what happened to me and life is so much richer for all the experiences I’ve been lucky to have with the Chasers. You couldn’t ask to spend your time, or live with, a better bunch of people. This of course should come with a warning, because if it wasn’t for this incredible group I wouldn’t have; a GFA place in London marathon; bought a wetsuit before I could swim; started to consider ultra marathons as a perfectly reasonable thing to do; discovered that you only need a sleep, wine and pizza to forget the pain of waking up at 2am to run your bit as part of a 24hr relay team; a mild obsession with starting every Saturday with a parkrun and associated cake and coffee shop. 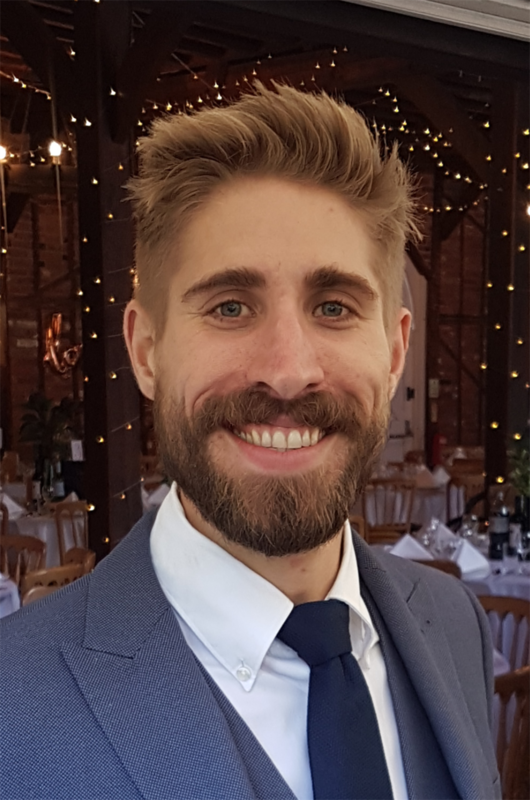 I joined the Clapham Chasers in 2017, 4 years after I moved to London, in order to be able to register for the very popular swimming sessions with Tim George. 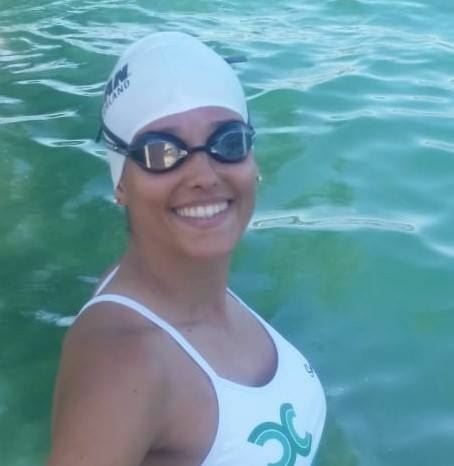 I had been a competitive swimmer in Portugal until my early 20s and decided to give triathlon a go after a handful of years without swimming. I couldn't be happier with my decision. I had only been part of other two (swimming) clubs and I reckon The Chasers are very friendly and inclusive. 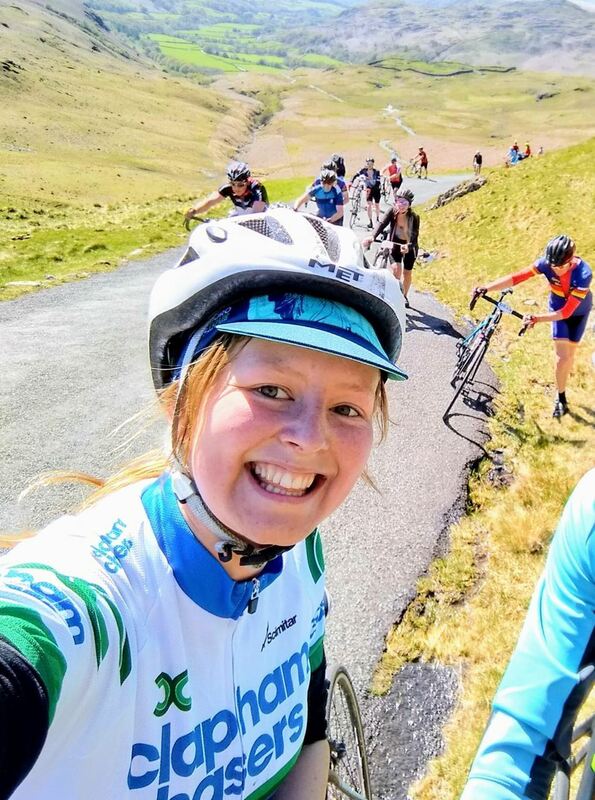 I used to be scared of cycling in groups and attending the Saturday and Sunday rides has helped me loads. Rachael Dodd and Jenna Mullet have done an amazing job in setting up several sessions for different abilities and I've decided to give my contribution to The Chasers when the opportunity arose. Joining Clapham Chasers is one of the best decisions I’ve ever made. The endlessly enthusiastic, inspiring and welcoming members of Chasers (with an improbable tolerance for drinking given their sporting prowess) are what make this club so great! Braving a group ride when I was nervous about it is the second-best decision I’ve ever made. I fell in love with club cycling, mostly long distance, with a view to racing if I can drag myself away from the Surrey/Kent hills. I joined the committee to try and make that first move to cycling less intimidating and to build our cycling calendar. If you’re looking for encouragement to achieve more than you thought you could and more drunken nights than should be compatible with a triathlon club - Clapham Chasers is for you!! Four years ago I didn't have a clue what a triathlon was, and now I suddenly find myself as head of triathlon at one of the biggest (and best!) clubs in the country. Joining the Chasers has shown me it really doesn't matter how fast you are, or what your dreams and aspirations are, it's all about just getting stuck in and enjoying yourself. I've already made some friends for life at the club and continued to be amazed by some of the incredible things our members are doing. Don't think about getting involved; just dive in and do it!